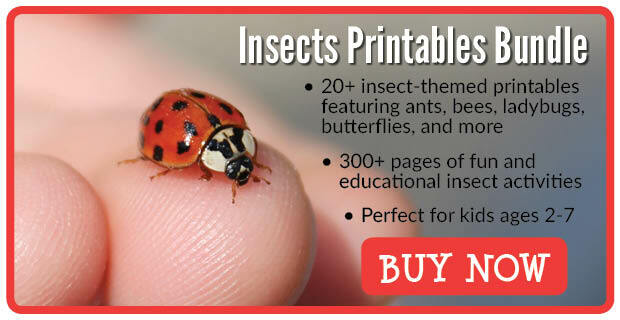 If your kids are studying bees and other insects this spring, I’ve got a fun new resource available to challenge their critical thinking skills: my Bee Sudoku Puzzles. 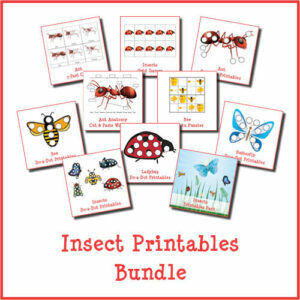 These free and kid-friendly Sudoku printables are perfect for some insect-themed learning and fun. Sudoku is a great way to exercise one’s brain with fun, engaging, puzzles that stimulate critical thinking and cognitive skills. The goal of Sudoku is to fill in a 9×9 grid such that each row, column, and 3×3 sub-grid includes one and only one of each digit from 1 to 9. Depending on the number of blank spots in the Sudoku puzzle, the difficulty can range from quite easy to extremely challenging. 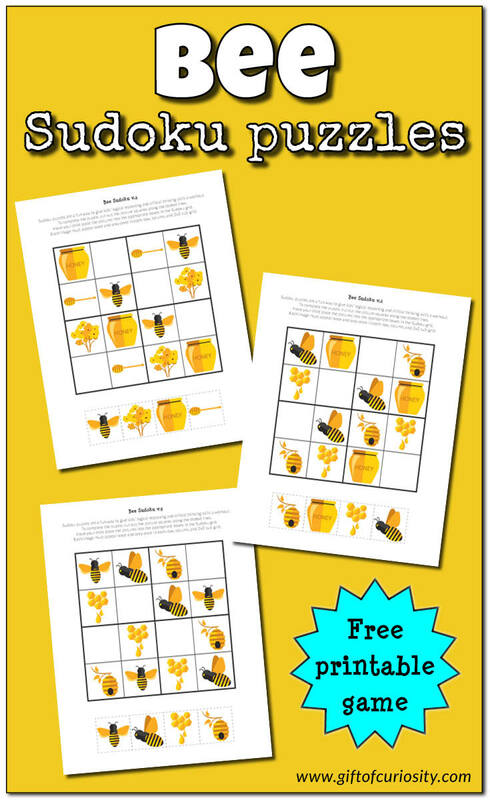 In the Bee Sudoku Puzzles I am sharing today, I have made the game kid-friendly by adapting it to use bee-themed pictures instead of numbers. In the download, I have included three playing boards that have been shrunk to a 4×4 grid in order to make the game age appropriate for young children. 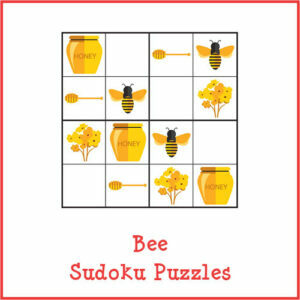 Want a copy of my Bee Sudoku puzzles? These are so cool! At what age do you think these are doable? That really depends on the child, but I think some 3-year-olds could do this. Maybe even some older 2-year-olds. But mostly you just have to present it to the child to see if they are ready and interested. If not, then I don’t see any need to pressure them.